Mexico didn't do Canada any favours when it continued NAFTA talks with the United States while its northernmost neighbour was no longer at the table, says former deputy foreign minister of Mexico Andrés Rozental. 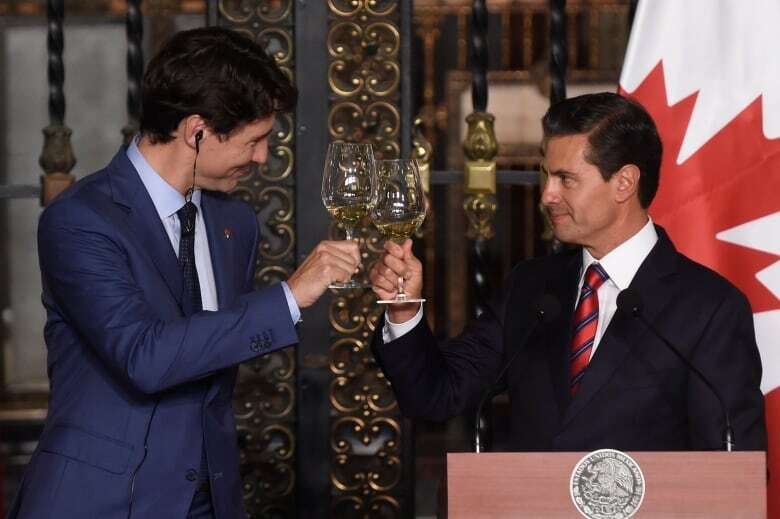 Mexico didn't do Canada any favours when it continued NAFTA talks with the United States while its northernmost neighbour was no longer at the table, says Andrés Rozental, a former Mexican diplomat. 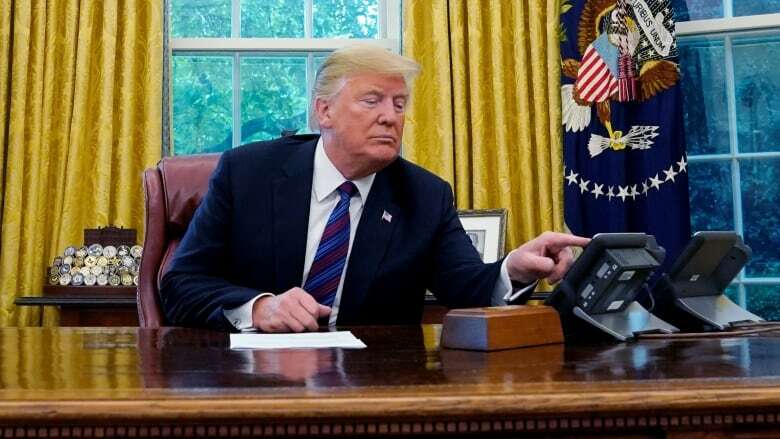 After months of negotiating, U.S. President Donald Trump announced Monday that he and outgoing Mexican President Enrique Pena Nieto agreed on a new trade deal that he said could replace NAFTA, effectively excising Canada out of the trilateral agreement. Rozental, a former deputy foreign minister of Mexico, is worried the new agreement between the two countries left Canada rudderless when it came back to the table for negotiations Tuesday, facing a tight Friday deadline. He spoke to CBC Radio's As It Happens guest host Helen Mann about why Canada and Mexico should stand together and not heed the Friday deadline for NAFTA talks. Publicly, Canada's trade team has praised Mexico for the deal that it has worked out with the U.S. Do you think that it is a different story behind the scenes? Definitely. I believe that the Canadian government has put a brave face on what in effect is, from my point of view, a very unfortunate situation. We decided that Mexico and the United States would negotiate, bilaterally, rules of origin for the automotive sector and Canada felt that it wasn't necessary for it to be at the table because it would benefit from whatever agreement was reached between the two of us. What I don't think anybody expected was that right after having discussed the rules of origin for the cars, all of a sudden, we started negotiating bilaterally with the United States on everything else, on all the pending issues — sunset clauses, dispute settlements, intellectual property, governmental procurement etc., without the presence of Canada. In the opinion piece you wrote for the Globe and Mail, you specifically blame Mexico for sidelining Canada more so than the United States. Why is Mexico the one that should bear the blame? All three countries probably bear some blame. But I'm a Mexican and I was looking at it from the Mexican perspective. I think that we, in Mexico, should have insisted on having Canada with us, because even when NAFTA was first negotiated, the Canada-Mexico partnership helped both of us a great deal in discussing with the United States proposals which we considered to be then and now unacceptable. So why all of a sudden we drop Canada and don't insist Canada be at the table is something that I put squarely on the Mexican side as blame. I think we would have been much better off had Canada been with us. Critics of the government here have suggested that the Trudeau government dropped the ball. What blame, or what responsibility, does Canada bear for finding itself outside of the U.S.-Mexico talks? I think Canada should have insisted to come back to the table and be present with all the other issues that were still pending. I don't understand why Canada did not do that. I think they were well aware of what was going on. Not only are we told that they are close friends, we also have understood that they also had some kind of gentleman's agreement with each other that they would present a united front. What do you think is behind Mexico's motivations, [in] its apparent change on that matter? I think, and this is probably the most unfortunate part of all of this, that this was done for political expediency by the current Mexican president and his administration to be able to be the one to sign the agreement rather than the new government. I think this was also, by the way, politically expedient for the new government because they wouldn't have to bear the political cost for signing an agreement with which they had really not been directly involved or participated in most of the negotiations. But that to me is a serious mistake. I don't think that this agreement, trilaterally, would be ready for signature to the legislative branches of the three countries by Friday. And yet Canada is at that table, apparently, trying to meet a deadline that it was not part of setting. Do you think that the Canadians should be jumping to meet this deadline? No. I don't. I don't think that Mexicans should be jumping to meet that deadline, nor should the Canadians. I don't see why we're pushing for something to finish with an artificial deadline that really has nothing to do with us. It has to do really with the U.S.
Now [Trump] wants to finish it before the midterms so that he can send it to his current Congress without worry of what's going to happen at the midterms. What's the risk of walking away? What are the optics of walking away without a deal? I don't think that the option is walking away. I think the option is just to continue negotiating until all three countries are satisfied with what they come up with. Trade negotiations take forever. They're very long and complicated discussions. Written by Bria John. Produced by Jeanne Armstrong. Q&A has been edited for length and clarity.